Could Impress: Denarius Moore. No one has gained more from the Raiders’ adding Carson Palmer than Moore. In the last two games, Palmer has looked Moore’s way 19 times, 11 more than the next closes receiver. Minnesota’s run defense is still tough, so the Raiders will happily pick apart the Vikings terrible secondary. Moore should have a big day. Could Disappoint: Eric Decker. Eight pass attempts got the Broncos a win last Sunday, but it didn’t do much for fantasy owners. Decker’s lone catch was a big one, but no one should feel comfortable relying on Tim Tebow to find your fantasy receiver. Keep an eye on: Harry Douglas. Was his 133 yard performance against the Saints an aberration or a sign of things to come? Something tells me it’s the latter but Douglas is the fourth option in the Falcons offense right now, so you might want to monitor his use in the next few weeks. 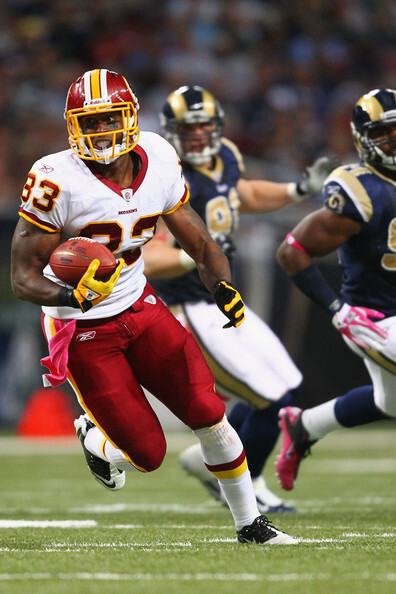 Injury Replacement: Damien Williams. He’s taken over as the top target for the Titans, putting up a score in the last two weeks. Atlanta will look to slow down Chris Johnson, so expect Tennessee to hit the air on Sunday. Somehow his is still available in nearly 90% of leagues, but that likely won’t last long. Could Impress: Fred Davis. He’s the only Redskins player you can count on, and even that has been a stretch the past few weeks. Still, the Cowboys are third worst at defending tight tends and Davis should see plenty of targets. Could Disappoint: Dustin Keller. Mark Sanchez has simply stopped looking in his direction around the end zone. In Keller’s first three weeks, he put up 36 points. Since then, he’s mustered just 18. He’s got a good matchup against Denver, but he just hasn’t done enough to warrant a start. Keep an eye on: Anthony Fasano. Matt Moore has returned Fasano to fantasy relevancy, especially in the last two weeks. If he continues to be involved in the offense, he might be worth a flyer down the line. Injury Replacement: Ed Dickson. I’ve outlined the Ravens’ on-again, off-again love of their young tight end in previous blogs but right now it looks as if Baltimore is looking Dickson’s way again. His 10 catches and two touchdowns last week were both season highs and you should strike while the iron is hot. Stephen Kelley is a contributor at The Sports Bank where he covers Fantasy Sports and Pro Drafts. You can follow him on Twitter @stephen_tsb.